Learning Japanese is quite challenging, but Duolingo is here to help! 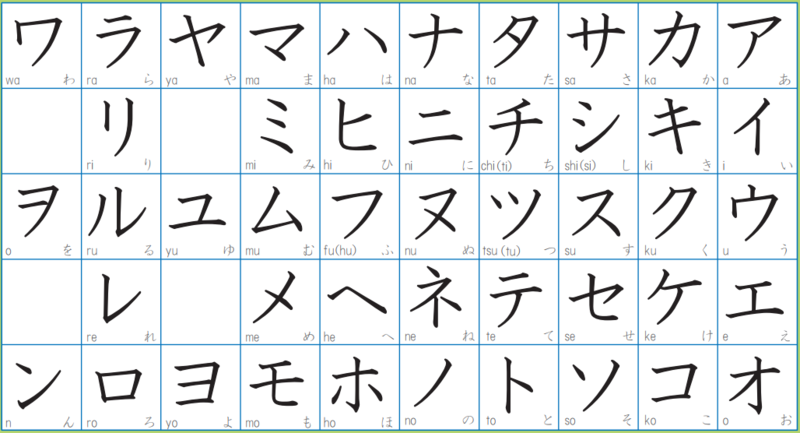 After learning Hiragana, you’ll learn Katakana, the second set of Japanese writing system. Katakana is mainly used for transcription of foreign language words into Japanese. Here’re the first five letters and pronounce as short vowel sounds. Hiragana and katakana have the exact same pronunciations. Do you know any katakana words in Japanese? Please share with us in comments. Can katakana be added to the Japanese course? It would be really helpful because katakana is very prevalent when visiting Japan (e.g. on menus). Which is used more: Hiragana, Katanka, Romaji, or Kanji? And is it necessary to know all four? I think only Hiragana, Katakana and Kanji are necessary to know, because they are the composition of Japanese writing system. Romaji is a thing that Japanese use to communicate with foreigner, it's useful to use romaji when you first learn Japanese and haven't been familiar with Kana. They are all both equally important because missing one means missing one of the structure of the language and would make a sentence incomplete. Kanji is in lowest because you can spell Kanji with Hiragana and speaking Kanji will be using Hiragana pronunciations instead of the Kanji's original Chinese pronunciation, but not knowing how to read Kanji or read it can be a problem. Hiragana and Katakana just includes tons of simple and common words and not knowing them is just problematic. While they're all used in conjunction, I'm pretty sure Kanji is the most commonly encountered in writing. However, it's important to know all three (Romaji isn't used as much) to understand the language. If you want to use the Japanese languege decently you should learn Hiragana, Katakana and Kanji. Hiragana, Katakana, and Kanji are the ones you need to learn, but Romaji is useful for typing in English keyboards, so Romaji won't be completely necessary except for learning pronunciations at the start. katakana is used mostly. Knowing Hirigana, and Katakana are most important. Learn the others for extra understanding. One thing at a time. Hiragana first. Katakana look different but they're the same sounds as hiragana. Once you know hiragana, it will help you understand kanji later! These supplementary discussions are helpful, especially because the web version of Japanese isn't yet available and the app presents but does not discuss the writing systems or review points of grammar. I'm sure there is a mistake on the chart above. It gives the pronunciation ofあ / ア as /ə/ (schwa); shouldn't it be /a/ instead? It's hard to explain in words. If only we could add the actual sounds to this forum. Japanese あ is between [a] and [ɑ], closest to [ä] (central), but it is unstressed just as in [ə]. There are no equivalent sounds in English, unfortunately. that's not quite how stress or IPA works. any vowel can be stressed and unstressed : [ä] can be unstressed ; and [ə] can in fact be stressed in some languages. the central vowel between /ä/ and /ə/ is [ɐ]. is that what あis ? Thank you for your comment. After much looking into the issue of Hiragana pronunciation, I came to the conclusion that the simple /a/ would be sufficient enough and easier for beginning learners of Japanese. Sorry, /ə/ (schwa) is not right choice. The sound of a, ɐ, ä, are all kind of close, but not exactly. Wiki mentioned that Japanese /a/ is central [ä]. I think the best description would be a pure and short vowel sound of /a/ without stress. Japanese is unreadable without the Katakana, because it is used for foreign words to help the Japanese say them correctly and such words are all over the place, therefore Katakana being deeply mixed with the Hiragana, so are there any plans to add it to the course? To be honest, without both the Hiragana and Katakana you should have just stuck to the Romaji, learning only half of it isn't of any use. Maybe you've already found out about this by now, but the lessons from Intro and onward gradually have Katakana in them. How long does it take to fully able to read the Hiragana and Katakana? Which is better, to just go ahead with Duolingo courses even though i haven't fully memorized Hiragana or fully learn Hiragana before i continuing the course? If you don't learn Hiragana, you will have a harder time with Katakana, not to mention Kanji. If you don't learn Hiragana properly you won't know the basic words, and you get way past behind. If you don't learn Hiragana properly you MAY learn how to say the words associated with them, but in no way can you really learn them. 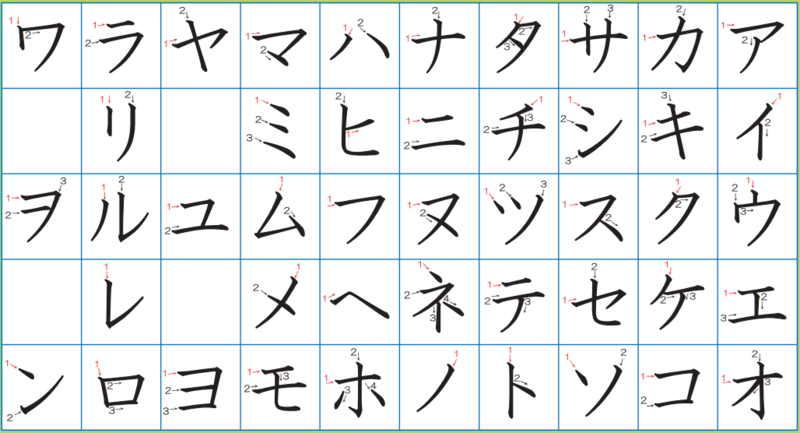 Hiragana is not that hard though, you can learn it properly in 1-2 weeks. Check the Hiragana section of the Discussion, there is -I think- Tofugu's guide which associates pictures with the Hiragana, and with a few days of practise you can master it and all the words. Why does Japanese have like four styles of language? Japanese has four alphabets. The alphabets are Hiragana and Katakana. There is also Romaji, which is romanized Japanese, but that's hardly ever used. There's also Kanji, which is derived from Chinese characters, and there's a bunch, but while you need to know at least 5,000 Hanzi, you only need to know half that amount of Kanji. It sounds difficult, but you'll get used to it, and after you conquer the writing system, Japanese won't be as hard. If you're having trouble, I recommend Tanoshii Japanese and JapanesePod101. HelpfulDuo has some discussions teaching the Hiragana, Katakana, and Kanji. Check them out if you need help. google translate changed it to this: 私の趣味はゴルフです。 is that correct also? Im Loving the way Duolingo approaches language learn! Also reading the loom of language and Michel Thomas is EXCELLENT! To aid in your Japanese learning! Does Duolingo also teach Kanji after it teaches both Hiragana and Katakana? Japanese: Katakana 1 - 5 ? Website for beginners who want to practice both hiragana and katakana.